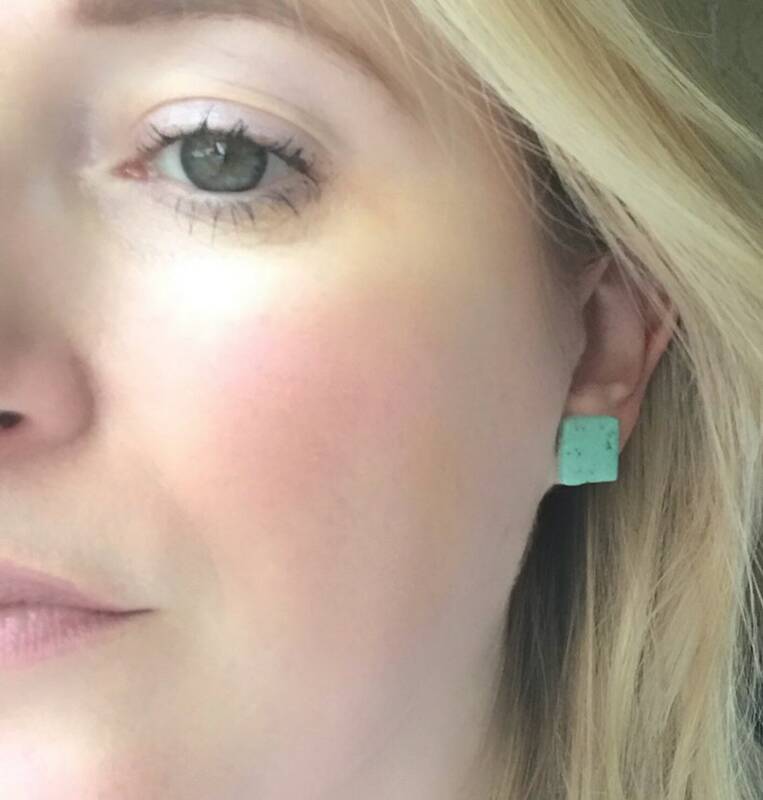 These pale green square stud earrings are handmade from polymer clay, with a granite effect. The clay stud is attached to a stainless steel back and secured with a bullet backing. These studs measure 1.5cm. Each pair is handmade in my studio, so every pair is unique. I have more shapes available in this colour and more colours available in this shape!